Another Police Officer is dead. Lorame Kensky who came from the 8th promotion of Police Institute was shot dead by armed bandits. He was an Agent IV with the UDMO Unit. 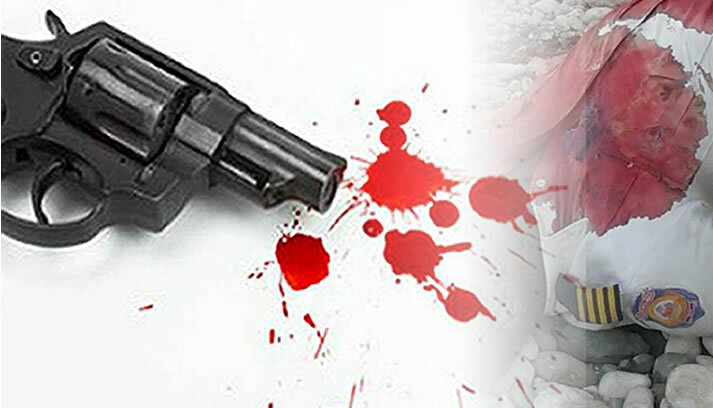 Officer Lorame Kensky was amboshed and killed in a locality called "Anba Gwo Mon" in Saint-Marc, as he was on his way to the city of Gonaives for training. Haiti will soon become a cement manufacturer once again. With an investment of 300 Million US dollars by both international and Haitian investors, a brand new cement plant called Siman Lakay will be constructed in the locality "La Pierre", in Gonaives. This new cement plant is expected to both reduce our dependency on import and also create jobs. 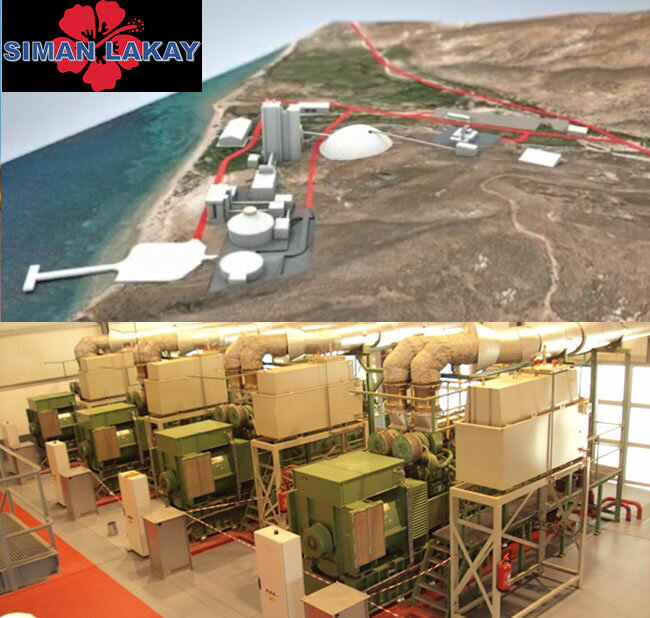 Siman Lakay will have a capacity to produce about 2 million tons of cement per year and create more than 2,200 jobs in the long term. A 35-megawatt power plant will be built to run the new cement plant and provide electricity to a new village that will be built in the area for the 2,500 employees of the plant. Construction is expected to begin on January 13, 2016. Foreign Direct Investments (FDI) in Haiti had been rising but it remained weak (USD 99 million) in 2014. Its business climate remained mediocre because of its long-term political instability, corruption, burdensome bureaucracy and the government's inability to offer tax exemptions to the investors. In the context of 'Protection of Investors' it remained far below in the "Index of Transaction Transparency", the statistics reveal Haiti (2.0); Latin America & Caribbean (4.0); Germany (5.0) and U.S (7.0). FDI inflows in Haiti in the last three years were (in US$): $156 million (2012), $186 million (2013) and $99 (2014). In September 2011, President Martelly launched a council PACEGI (Presidential Advisory Council on Economic Growth and Investment), co-chaired by President Bill Clinton with the participation of local businessmen for improving the business climate in Haiti and in September 2012, a Presidential Commission reformed the business law of the country. In 2013, Haiti secured its best rank ever (174 out of 183 countries) in the World Bank's "Doing Business 2013" report. Thus, the recent investment plan of $300 million by the foreign and Haitian investors, in the new cement plant 'Siman Lakay,' at "La Pierre" in the locality of Gonaives, is no doubt a big boost for the Haitian economy. The project has come into existence after more than one year's hard work and technical studies by Mr. Bestgen Jérôme, the Honorary Consul of Haiti in Belgium. On Friday, September 25, 2015, Pierre-Richard Casimir, the Minister of Justice, presided over the graduation ceremony of the Faculty of Law and Economics of Gonaïves "Hugues Saint-Pierre" (2011-2015). The graduating course was sponsored by Minister Casimir's department and the convocation of the graduating ceremony was held in the city of Haitian independence, Gonaïves. 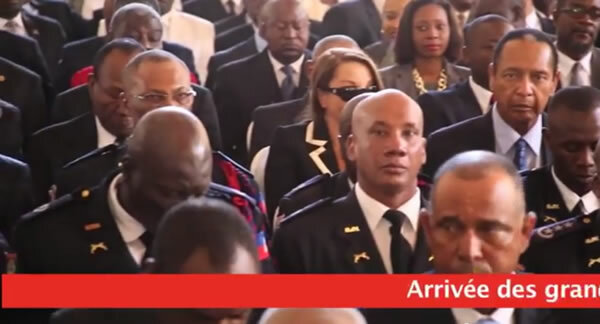 The ceremony was attended by the dean of the Tribunal of First Instance of Gonaïves, the Government Commissioner of the city and other notable personalities. In his speech for the occasion, the minister has advised the new graduates to keep their minds open for continuous learning and development and put their learned lessons into application for the welfare of the state. Morne Bienac isn't a particularly famous part of Haiti, but this location in the Artibonite region has become news with the announcement of plans for a canal to stop flooding in Gonaives. This MINUSTAH project is a subsection of RCV (Community Violence Reduction) and entails the building of a 220 linear meter drywall through funding from the RCV and the manpower from IOM (International Organization for Migration), and other local collaborators. The area of Gonaives is all-too familiar with how bad it gets when there is a flood. During the yearly hurricane season, residents are often wary of the rain, which can leave behind mud up to meters high after the waters recede. The expectation is that the canal, costing a cool $400,000 US, will mitigate at least some of this flooding. In the past the damage caused by this flooding has been extensive in the region, mud being the largest residual factor. Following a particularly bad season in 2008, after four storms hit, the city was left under 1.5 meters of mud and without the resources to clean it up. Haitians love their national carnival season. This year, through the efforts of various bodies and individual, the festivities that took place in Gonaives from March 2 to March 4 has left the nation on a post-celebration high. The country's president has rightly set about publicizing thanks to all those concerned in the smooth procession of the 2014 carnival. The success of the three-day affair, where order and civility are concerned, was due in part to the effort of the National Police of Haiti (PNH), the health care workers and facilities on watch, and the public at large. While there were some casualties, as can be expected with any mass event like a carnival (472 wounded and nearly 50 arrested), there were only two reported deaths, one from a traffic accident and the other from over-imbibing. Where is Businessman Daniel Evinx? According to inspector Garry Desrosiers of the National Police, Daniel Evinx had left his vehicle at a gas station in Gonaives, and had taken a motorcycle taxi to an undetermined destination. Businessman Daniel Evinx who is a close friend of President Michel Martelly is the current owner of Dan's Creek Hotel in Les cayes. Daniel was one of the finalists od the 2010 Digicel Entrepenuer of the Year. He made news in September 2013 after his arrest for retrieving 23 kilos of marijuana aboard his yacht. Here is the complete speech of President Michel Martelly on the occasion of the 210th anniversary of Haiti independence. On the occasion, the Haitian president urged his fellow citizens to come together to rebuild Haiti. "Haiti is very sick. We need to rebuild this country" said President Michel Martelly. The president believes that this is a job that can't be done by one person or one president only. It is the job of every Haitian and if we work together, we hill be able to accomplish the job. Michel Martelly calls on every Haitian to join forces and unite to put Haiti back to its feet. As it was the case with Prosper Avril, former president Jean Claude Duvalier was invited to celebrate the 2010th anniversary of our independence in the historic and revolutionary city of Gonaives. In term of revolution, the former Haitian dictator would be the first to tell you based on his experience with this Haitian city. 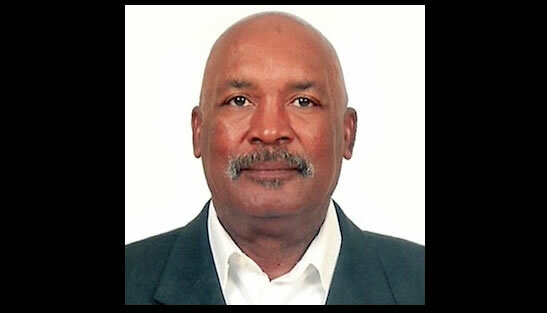 His exile to France was the result of an ongoing protest that originated in Gonaives in 1986, with the assassination of three High School students. Since his return from exile, it seems that former President Jean Claude Duvalier has taken it upon himself to built bridges between the city of Gonaives and himself. Beside this 2010th anniversary of our independence in which he was invited to participate in, Mr. Duvalier was invited in Gonaives to sponsor a promotion of Jurists at the Faculty of Law of Gonaives which had raised a great outcry. Many people feel at the time it was inappropriate as the former dictator did not have any respect for the law or justice during his reign. 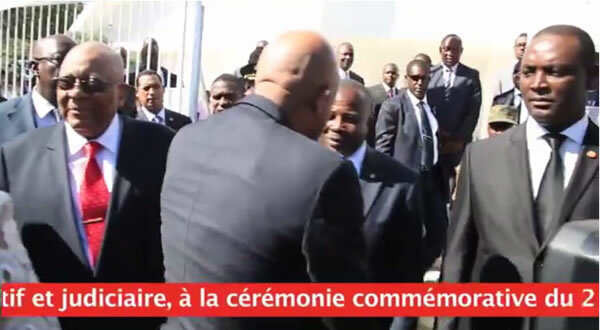 It seems that President Michel Martelly did not only talk about unity in Gonaives to celebrate the 210th anniversary of Haiti independence; he actually followed it with concrete action. By inviting the former Haitian leaders to join him in Gonaives, he actually became the "First" as he usually likes to say to show that he is inclined to bring unity among Haitians. He is the first to meet with so many former head of states, first to invite them to participate in an anniversary that should have been a point of unity among all Haitians. President. Michel Martelly believes that only the unity of the country will allow its children to win various battles that the Haitian population is facing today. Just for your memory in case many of us forget: Poverty: the country can't feed its people. Thanks to MINUSTAH and the UN, we have an ongoing battle with cholera. The Dominicans do not take us for anything as they invade our economy and at the same time treat us like animals. Our environment is a disaster and every time there is a hurricane, heavy rain, et. we are in trouble.